bombing in 1849. In 1860 the Church was rebuilt as it stands today. It resisted some floods; the last flood was in 1965. For the sake of interest, there is a displayed chart on the back wall of the church showing the Danube water level as it was in 1895. In Podunajské museum, you can find collections dedicated to the town’s history from the primeval age up to the current age including the period depicting the extensive earthquake. 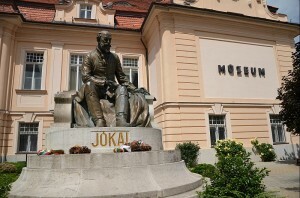 In the front of the museums’ building, there is a statue of the Hungarian writer Mór Jókai (1825-1904). 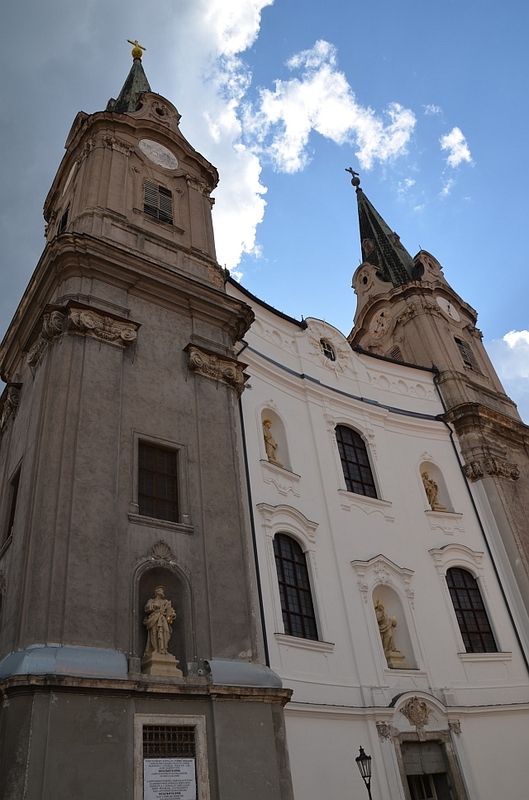 He was also another famous native of Komárno. His work includes the novel „The Golden Man” of which the plot takes place in Komárno (Jókai bableves). Jókai’s delicate bean soup, named after him, can be tasted in most restaurants in Komárno.